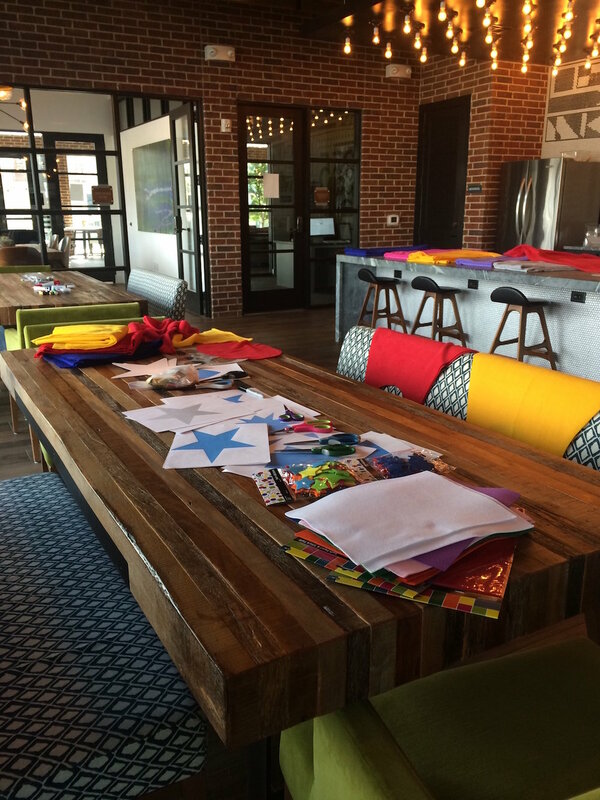 The Skybound Initiative, a series of community projects focused on uplifting others through the playful power of the hero cape, is the service-oriented arm of the firm Skybound Coaching & Consulting. The Skybound Initiative was started by Glenn Taylor, President/Founder of the firm Skybound Coaching & Consulting. 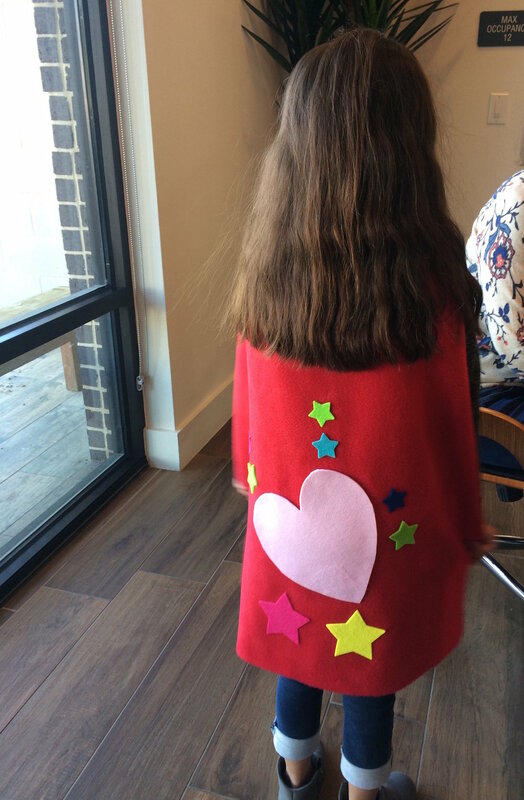 Glenn is drawn to the playfulness, creativity, imagination and empowerment connected to the symbol of a hero cape, and is compelled to share that with others, especially those in need of uplifting. To view images of recent projects from The Skybound Initiative, see the gallery below. 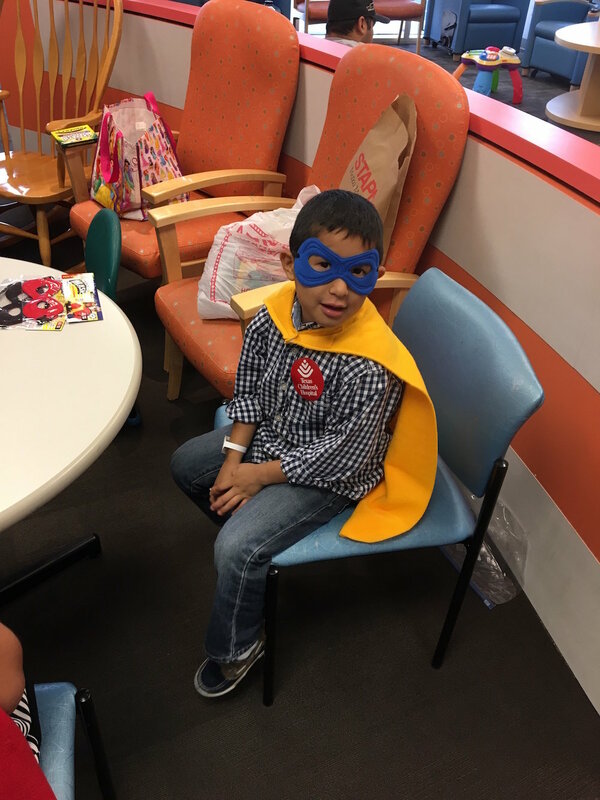 Current projects of The Skybound Initiative include "Cape-Making for Heroes!," an effort to produce home-made capes that are then donated to pediatric hospital patients, and "Unleash Your Super Power!," a video project connecting kids with their inner hero on film at Texas Children's Hospital (a collaboration with Jackman Films). 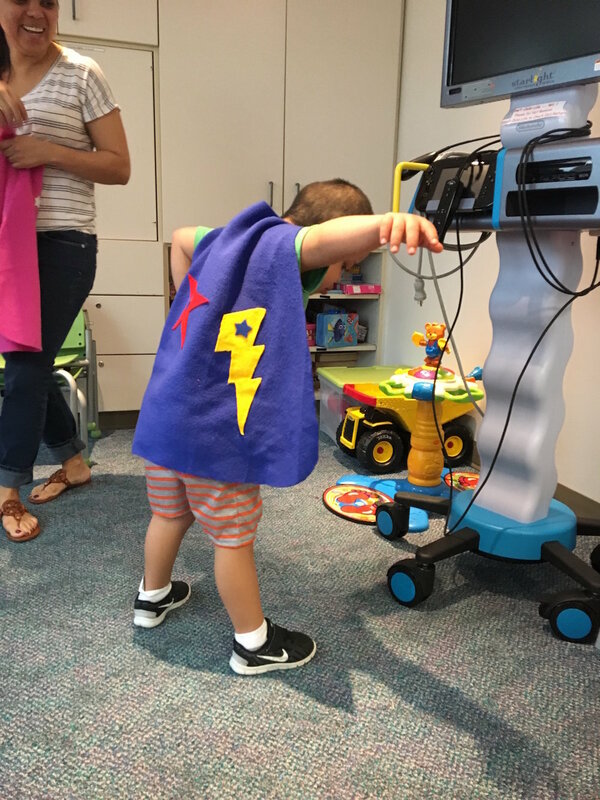 The first "Unleash Your Super Power!" film is released! View it below. 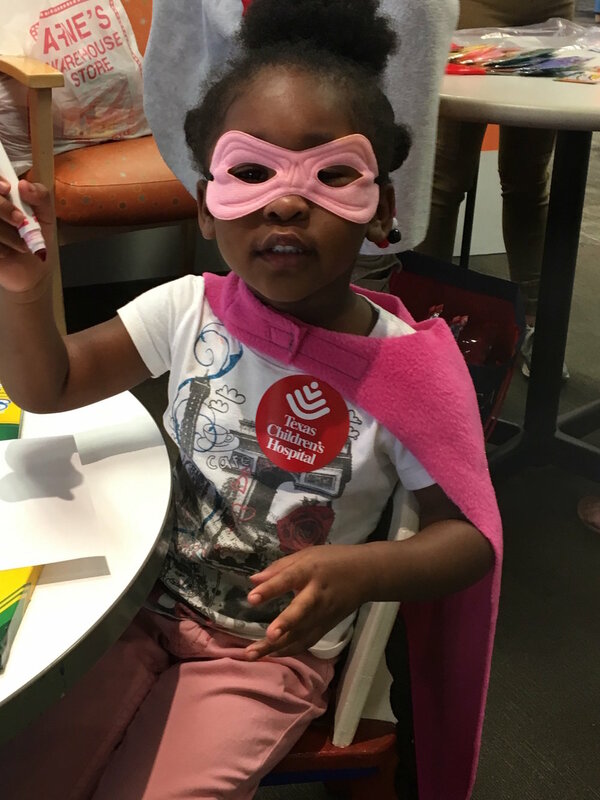 The Skybound Initiative would love your support and participation to help this impactful work continue! Support can come in the form of funding or sponsorship to offset project costs. 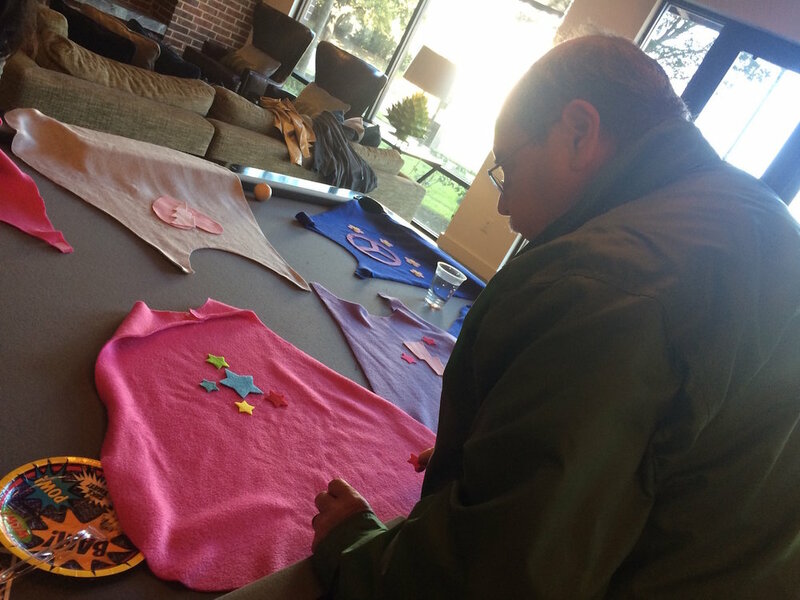 Participation can include your time, creativity and efforts as a cape-maker or on-site hero-maker at events. To inquire about supporting this work, please use the form below.